Getting your current blinds repaired is obviously much cheaper than purchasing new ones. We offer full service repairs and installations for blinds, shades, and shutters. Our trusted blind repair services are always done with precision and care. We’ll come to your home or office. All you have to do is give us a call. What could be easier? Cords break and that is a fact. Pulling up and down of a blind will produce friction and heat which will cause weakness in some materials leading to breakage . If you need your blinds re-stringed give us a call today! Normal wear and tear, pets, kids, changes in weather, and even sunlight may cause problems with your blinds over time. Aria On-Site can help! We provide cord replacement and re-stringing, replacement clips, tilt mechanisms, and other parts as well. While we specialize in Hunter Douglas window fashions, we can often repair other brands as well – depending on available replacement parts. You can count on Aria On-Site to help create or restore the perfect look for your windows. In a honeycomb shade, each cell is attached to the one above and below with glue. After awhile, the glue may fail. If this is the case, you will most likely have to get a new shade. Hunter Douglas’s selection of shades comes in a broad range of colors and textures so you’re almost certain to find the right match! 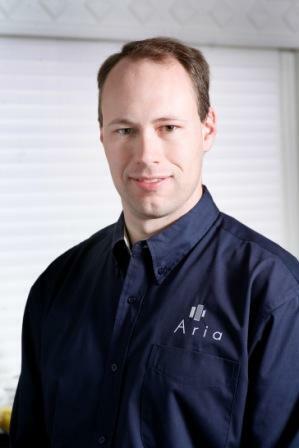 Need your cellular shades repaired than call Aria today! With so many intricate parts that make up the framework of modern window treatments, it is hard to know where to start. Common parts that often need to be replaced are mini blind parts, pleated shade parts, vertical blind parts, blind cords or loops, vertical blind parts, and roman shade parts. If you need any window treatment part replaced call the blind repair experts at Aria On-site.